Following on a huge IPO last fall by Xinjiang Goldwind Science & Technology, China’s second-biggest wind manufacturer, Sinovel Wind Group Co, China’s largest wind manufacturer, is planning an even bigger splash into public trading. Goldwind’s initial public offering (IPO) raised $917 million in October on the Hong Kong exchange. Sinovel expects to raise $1.4 billion on the Shanghai exchange. There are also a significant number of rumors of an important wind industry consolidation in which Spain’s Gamesa, the world’s sixth biggest turbine manufacturer with seven percent of the international market, would purchase -- for a reported $1.9 billion -- a controlling interest in India’s Suzlon, the world’s seventh biggest turbine manufacturer (with six percent of the world’s turbine sales). The deal could potentially involve control of Germany’s REpower, a subsidiary of Suzlon and the world’s ninth biggest manufacturer (holding three percent of the global market). The consolidation, though being denied at present by Suzlon, would transfer needed cash to Suzlon, which has divested holdings in recent months to make up cash-flow deficits. Suzlon has, however, so far retained its interests in REpower despite financial burdens incurred due to mechanical failures in that company’s turbines, which both companies say have now been rectified. 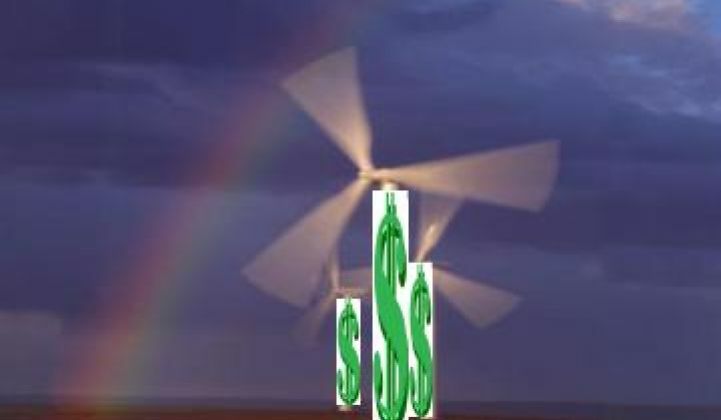 Taken together, these major real and hypothetical transactions speak loudly about the direction of the wind industry in 2011. U.S. federal policy support to the renewables sector has been limited and spotty in the last decade and virtually absent in 2010. Though the 2009 Recovery Act allotted substantial incentives and supports, a one-year extension of the 1603 Treasury grant program was the only significant policy support provided to renewables industries last year. Meanwhile, the Chinese government’s sponsorship of its renewables industries has been steadily increasing, especially since 2005, both in terms of financial incentives and protective laws and mandates. Following the 2008-09 financial downturn, China’s leaders channeled hundreds of billions of dollars toward the country’s renewables sector and are scheduled to invest $736 billion in renewables through 2020. China has also moved to streamline the identification of sites for renewable energy projects and the construction of major new transmission to deliver the electricity they generate. In addition, Chinese regulations protect its wind industry by requiring locally manufactured turbine content for wind projects developed there, a protective advantage so unfair the United Steelworkers union has prompted the Obama administration to bring charges against China before the World Trade Organization. Riding this wave of advantage, China’s wind developers last year led the world in new installed capacity and the Chinese companies’ positions have grown progressively stronger internationally. In the last year, both Sinovel (which owns nine percent of the world turbine market) and Goldwind (seven percent of international sales) have established U.S. offices, moved into development in the U.S., and announced deals throughout the world’s emerging economies. With the enormous infusion of capital from their IPOs, Sinovel and Goldwind can only become more potent competitors for U.S. and European powerhouses like GE and Vestas feverishly scrambling and streamlining to keep up. Sinovel profits are expected to increase 30 percent in 2011, according to a Reuters-quoted Chinese markets analyst. Its IPO is predicted to be the Shanghai Stock Exchange’s most expensive ever. Many wind industry insiders accept Suzlon’s denials of the merger but they are not really denials. They are evasions, suggesting reports of the merger are speculative and contain inaccuracies, which is to be expected when one party (Gamesa) refuses to comment and the other’s remarks are less than definitive. A veteran wind industry consultant (who did not want to be quoted) said he saw no point for Gamesa to make the deal because Suzlon is financially troubled and there are other such assets that, unlike Suzlon, are not unhampered by debt and turbine quality considerations. Suzlon has a reported market value of $2.2 billion, but debts that are potentially as great if not greater. On the other hand, the New York Times recently reported that Gamesa had to make huge concessions to get into the Chinese market. This raises the possibility that its motivation to do the deal is a need for manufacturing and supply chain backup in Asia. More importantly, Gamesa -- which has its own high-quality brand name -- could, through such a deal, forge a partnership that might give it a head start on competitors in the expanding Indian market and in other emerging South Asian, Southeast Asian and Asia-Pacific Rim markets, all of which are predicted to be huge. One of the uses Sinovel cited for the IPO cash infusion is increasing R&D on six-megawatt turbines. 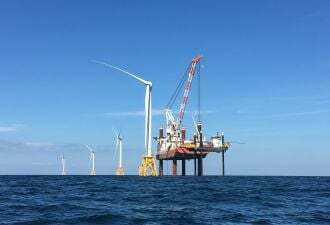 The industry standard for onshore turbines is currently two to three megawatts, but experts expect size to increase as technology advances and projects move offshore in the coming decade. Skeptical investors (i.e., successful ones) remain dubious of offshore wind right now because of cost-benefit factors. The larger turbines, when perfected, will make operating in the more demanding ocean environment a more economically appealing proposition and allow developers to take advantage of the enormous offshore wind resources out of sight of land that are almost unencumbered by siting and permitting issues.